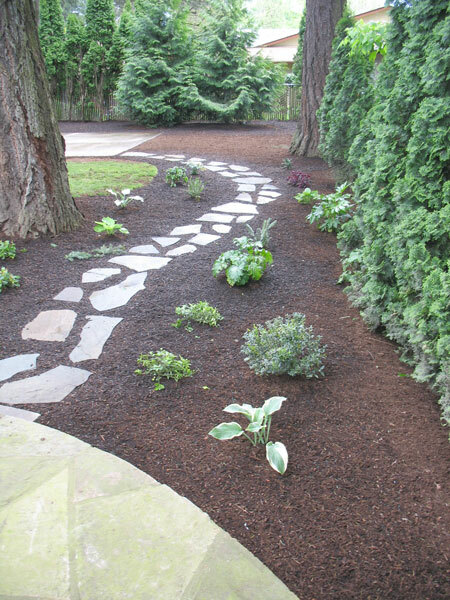 Adding a garden path to your landscape can both look good and provide useful functionality. When a path bends around a corner out of sight, it leads the eye and adds an element of mystery. 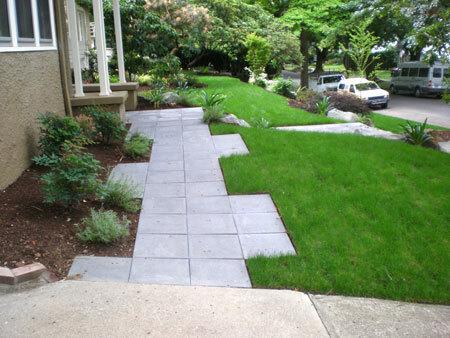 Walkways in your landscape are used in many ways. Lead from your driveway to your front door. 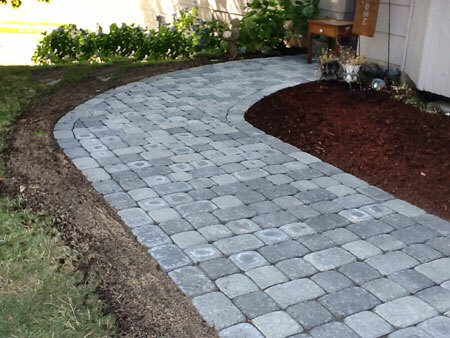 We install three different types of paths: Slate, pavers, and gravel. Natural stone adds beauty and value to your home. 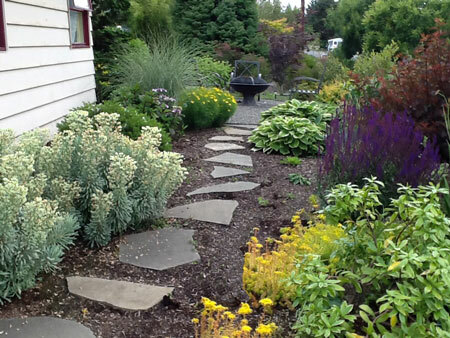 Two types of stone slate garden paths are available: Bluestone or Iron Mountain. Note: Slate is also known as flagstone. You may select from several differing installation types as shown below. For those with dogs we offer a special approach. 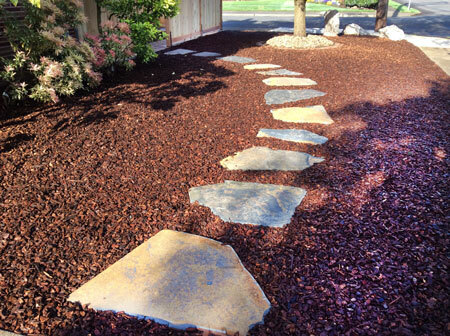 By putting gravel beneath the stones and small bark chips as a mulch, the dogs keep their paws clean—and possibly your carpet. The bark chips don’t stick to their paws. Very cool! 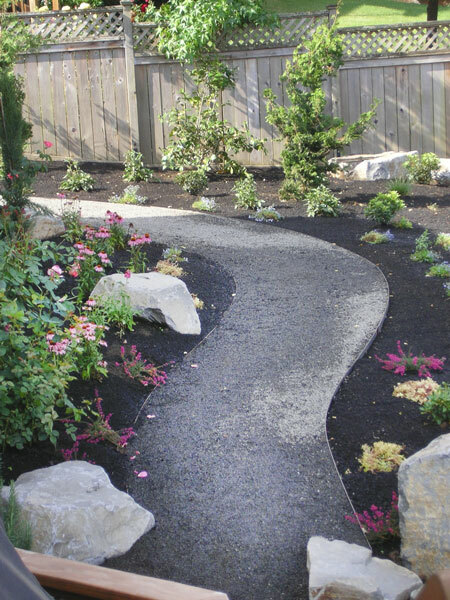 Due to its charming simplicity in combination with cost-effectiveness, many of our clients choose our stepping stone garden path. Individual pieces of slate are set for ease of walking. A path like this may create a bit of mystery when the end of the path cannot be seen as it meanders around a corner or disappears out of sight amongst the planting. One can’t help but be a little curious and is encouraged to explore a little to see where it goes. 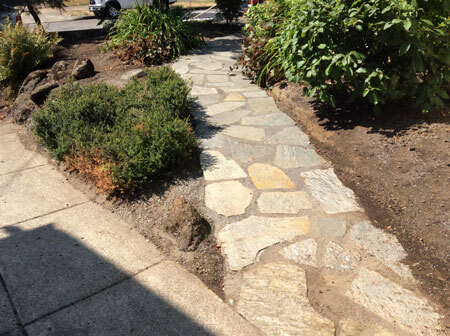 You may add steppables in the joints of a stepping stone pathway. 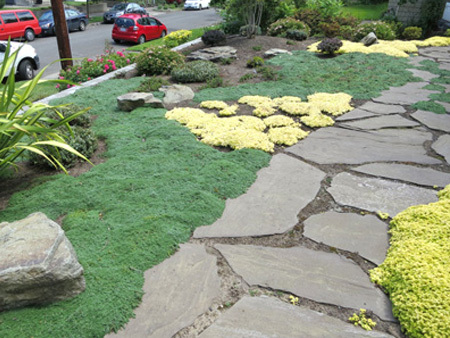 Steppables are ground hugging ground covers that tolerate foot traffic. 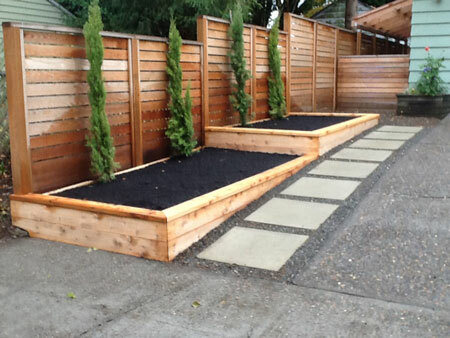 They come in different varieties for sun or shade with varying tolerances to foot traffic. 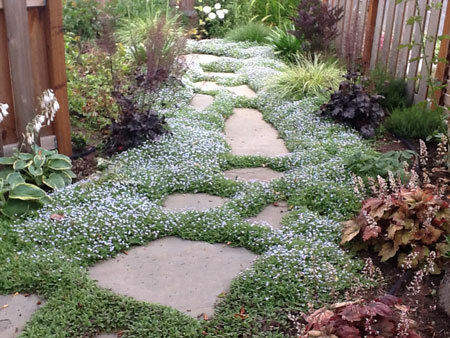 In this variegated bluestone path, the ground cover is the well known Blue Star Creeper. Other steppables include Brass Buttons, Elfin Thyme, and dwarf sedums. The path shown here was installed twelve months earlier. If you want a path three or more feet wide this will be your best option. You may select from two different installation methods. 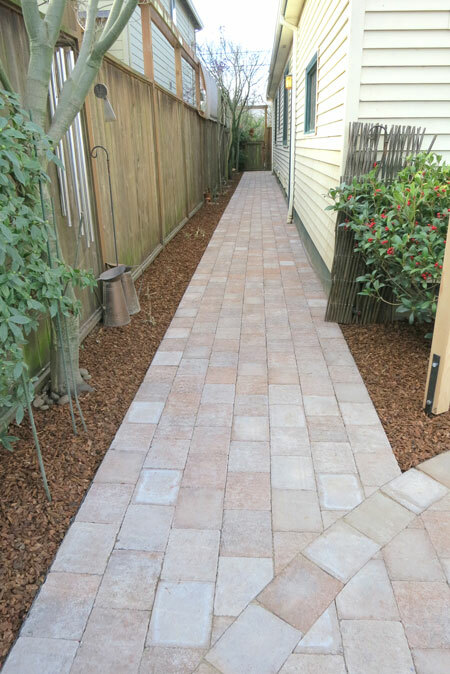 In the photo below a sand set path rests on a 2″ compacted sand base and sand has been added between the joints. This is the simpler installation and costs less. 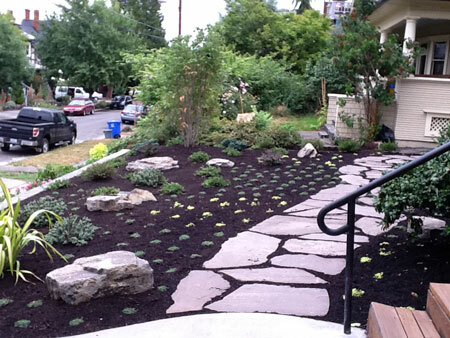 For a more durable installation we put a 5″ compacted gravel base beneath the walk and use polymer sand in the joints. 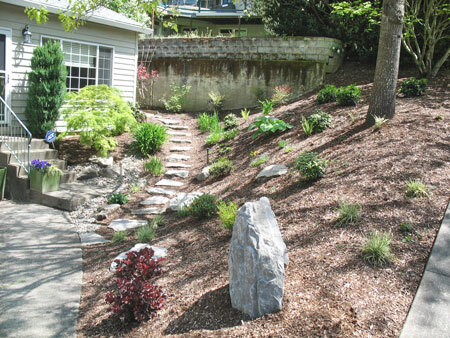 The result is a mortared look that keeps weeds and insects out! 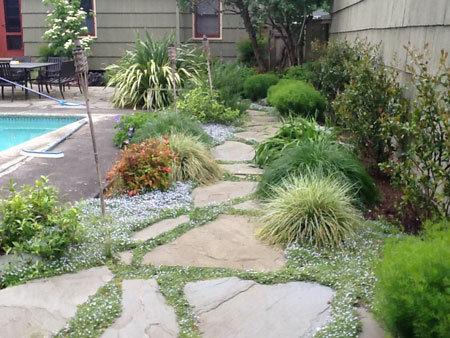 If you’ve had prior experience with weeds in the cracks and ants building nests beneath the stones, you know the benefits. 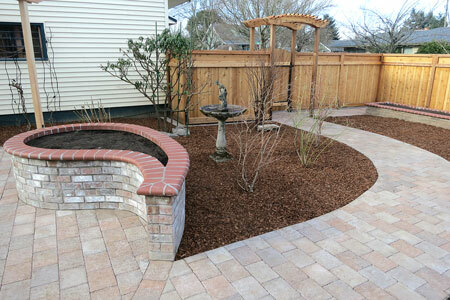 For a more formal appearance, you may prefer a pathway made from pavers. They come in many colors and sizes with beveled or straight edges. Large pavers are called Architectural Slabs, usually sized at 24” square, although 18” and 12” squares are available in limited colors. Mystery paths disappearing out of site.